Susan Schurman has offered activities for elementary and secondary students through Kansas City Young Audiences since 2008. As a social worker and family therapist, she created fun educational activities for children and adults to address their life challenges. 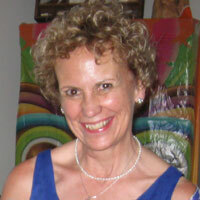 Susan has worked as a book designer and editor for BkMk Press, of UMKC. During this time, she has helped students produce and illustrate anthologies of their art and writing. She’s led sessions centered on writing and drawing games, community tag games, and dramatic performance. She enjoys encouraging all levels of student writers and artists, and has created and led retreats to enhance the participants’ confidence, skills, and creativity.